A lot of us ponder how much money we’ll need in retirement, and how long we’re likely to live; but very few of us speculate on what our aged care needs might be in terms of funding or lifestyle. Beth Hourigan, Aged Care specialist and social commentator, says she encounters people every day who are simultaneously dealing with their own retirement issues whilst looking after the aged care needs of elderly parents and relatives. People are generally healthier and living longer than previous generations, with retired men achieving 86+ years and women 90+ years; so it’s quite likely that more people will need to fund a move into a residential aged care in addition to their retirement living expenses. Many of us are willing to ask framily and friends to act as our Powers of Attorney; however few of us have actually discussed (or planned) what we want to happen should a life changing event occur; like a potential aged care move. In fact, many people who have found themselves enacting their duties say that making aged care decisions as a POA, or Guardian, was a-kin to being hit by a bolt of lightning. Because they where not prepared and didn’t see the need coming. Many people say that although they’d notice significant behavioural changes in their friends or relatives, they hadn’t fully understood the calmative consequence of those changes with regards to medical, financial or care services. Daily Tasks – Your loved one should be doing grocery shopping and preparing familiar meals, if this becomes overly challenging, it’s time to discuss home support. Banking and Bills – Check for past due notices, or excessive cash withdrawals without reason. Hoarding large amounts of cash may also indicate assistance is needed. Check the Mail – If mail is stacking up, or being “filed’ in odd places it could be a good idea to redirect post to an alternate address. Diet and Nutrition – Keep check on diet to make sure that meals are regular and nutritious. Meal delivery services may be a good interim option. Driving – If your loved one has vision, hearing or reflex impairment, this could increase their risk of car accidents and you should seek advice from local police or licensing authority. Personal Hygiene – Noting the overall appearance and hygiene of your loved one; wearing clothes suitable for the weather; or not regularly changing into fresh clothes could be cause for concern and organising home assistance. Social Behaviour – If an ageing loved one seems depressed, irritable or anxious, or if they have difficulty remembering names, current events or places, it could be wise to seek medical assessment and discuss support options and safety. Weight gain or loss – If weight is not steady there could be cause for concern and a medical check-up could be wise. If any, or all of these signs are familiar it’s time to be proactive and seek some professional guidance about possible aged care options, in-home support services and residential accommodation; and what the eligibility, access and financial impacts could be. 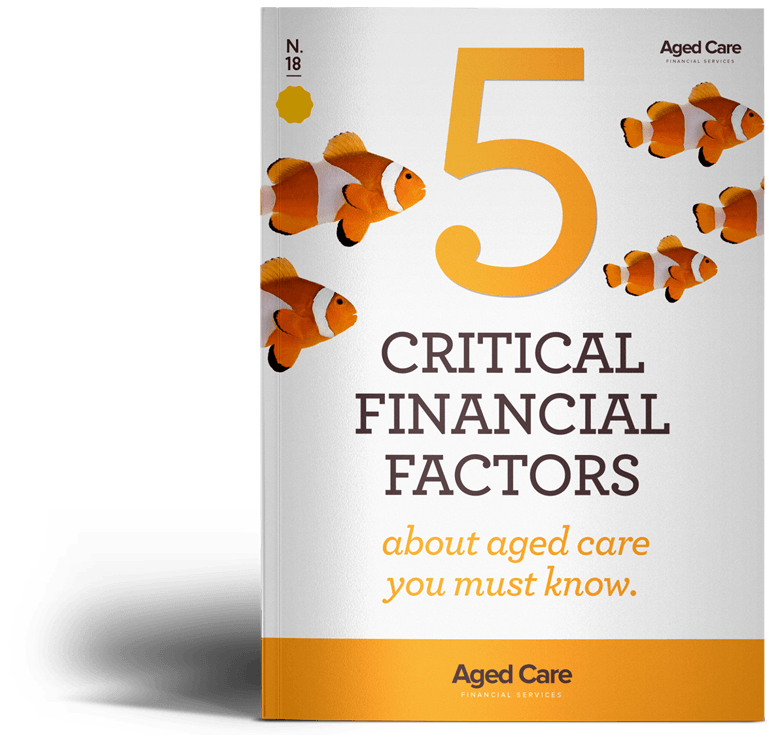 Aged Care planning is as essential as Retirement Planning to the way we plan the Golden Years of our life, and ought to become an important family topic.